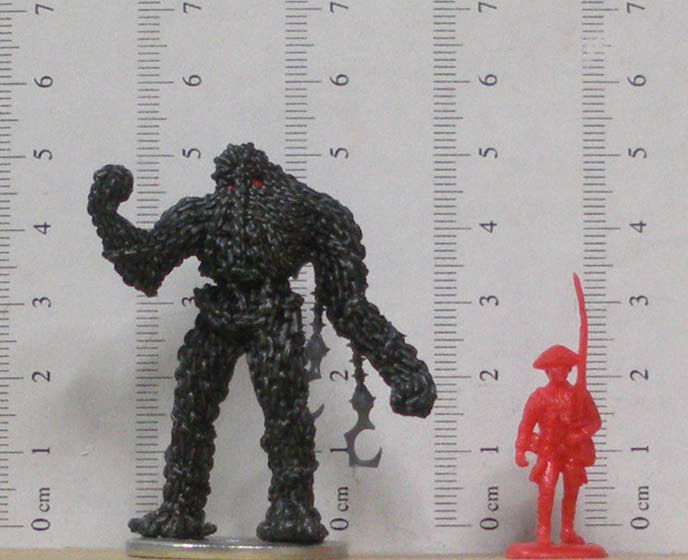 Chains are often used in detailing models and miniatures, but finding the properly sized chain can be a bit of an issue without a point of reference. The given dimensions of a chain can be misleading as well, since sometimes they refer to the length of a link, while at other times they refer to the pitch. My preference is to use links per inch (lpi) because it makes approximating the size the chain fairly easy. 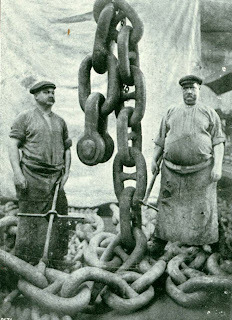 For example, the anchor chain of the Mauretania (below) could be represented by a chain of about 4 lpi. 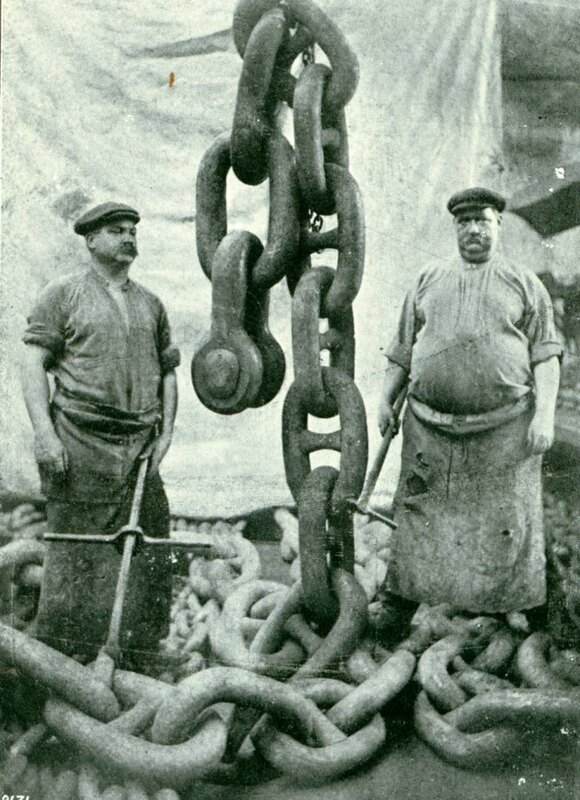 A common everyday chain is about 8 links per foot, so in 1/72 it is represented by a chain of 48 lpi. Starting from top to bottom, the following chains are: 9 lpi, 17 lpi, 21 lpi, 27 lpi, and 42 lpi. The 42 lpi chain is the smallest that I've found, and is the chain that is the closest to a regular chain in 1/72 scale. The silver and black chains are jewelry chains that I picked up some time ago (I don't remember where they came from), while the three smaller brass chains are produced by Model Shipways. 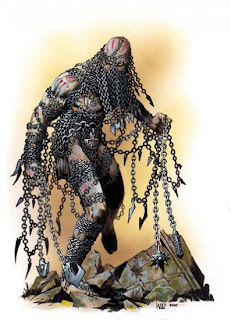 While on the subject of chains, I've included an in progress conversion for a Chain Devil. I've taken a Dreamblade Iron Thug (Base Set #38), and will be adding hooks, blades, spiked balls, etc. to it. So far it only has the two plastic venom chain flail bits from some Dark Eldar kit attached. I don't particularly care for the D&D version of the Chain Devil, because it just looks like a guy wrapped in chains. 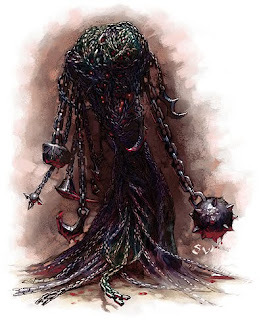 But I really like the appearance of this D&D Chain Golem, which is how I envision a Chain Devil as looking.